The first time I saw a fixie, I thought, “That is one beautiful bike.” I instantly fell in love with the clean chain line and minimalist look. One gear, one speed, it’s a blast. The good news is fixies are very affordable. The bad news is that, because they’ve become so popular, there’s a lot of cheap junk on the market—nameless brands made from garbage components. 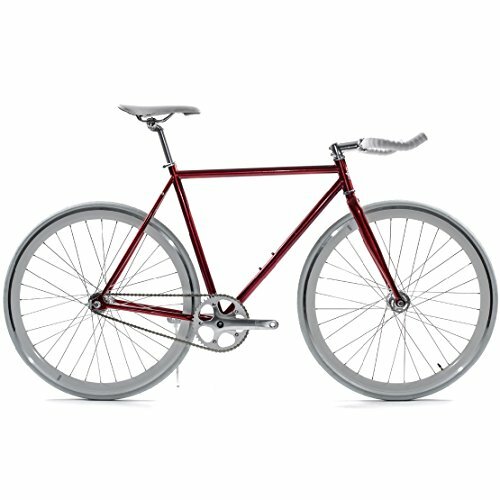 So if you’re on a cheap budget, what are the best fixed gear bikes? I’ve built them professionally for years now, so I feel qualified to review eight of the top, affordable fixed gear bicycles for sale today. I’ll give a brief overview of the components, build quality, and noteworthy features. Price range? We’ll specifically look at the best fixed gear bikes below $500. Hopefully by listing the pros and cons of each ride, you’ll find a top quality fixie to fit your budget. Read on! What does a good, inexpensive fixed gear bicycle look like? The best budget-priced fixie bikes are simply those which are well designed and properly fitted. They should have decent components, and the frame should be well constructed. I mean, track bikes like this are already noticeably cheaper than their geared cousins. Less componentry means a lower cost for the manufacturer, and a lower price for you. An affordable fixed gear bicycle is only as good as the wheel set it rolls on. You want something that rolls well, something that’s sturdy, and something that’s equipped with a high quality cog and freewheel. I’ve ridden on some bad cogs before; what happens is the lockring which holds the cog in place will strip. That’s bad news if it happens mid-ride. Many fixie-style bicycles, even budget models, will come fitted with a flip-flop hub. A flip-flop has both a fixed and a freewheel cog on it. To switch, you just take your rear wheel off, flip it around, and reinstall. The freewheel cog means you can coast and pedal backwards. It’s a great feature to have if you live in a hilly spot. A good riding experience is often determined by the quality of the cranks. They transfer all the power from your legs to the rear wheel, and you’ll want something that’s light, tough, smooth, and strong. This is one of my ‘go-to’ brands, typically my first suggestion when someone tells me they want an full-featured, inexpensive fixie bike. Pure Fix’s line of single speeds are beautiful bicycles. They seriously turn heads with their good looks. I appreciate their low-key, ‘stealthy’ design because you can easily customize it to make it your own. It features a welded steel frame with a slightly aggressive, urban-inspired stance. You won’t be forced to hover over your handlebars, but the frame geometry is designed for a nimble, responsive, city-friendly ride. The wheelset is made by Pure Fix, and features deep dish style alloy rims laced to a pair of KT Quando hubs. The rear is a flip-flop hub, and it comes with a freewheel gear and lockring. The hub quality is OK, my only beef is that they could use a bit more threading for the lockring. It rolls on Kenda tires and tubes, and uses a Lasco laser cut three piece crank with a sealed bottom bracket. It has wide handlebars with BMX style grips, and a single front brake (Radius brand calliper). For anyone going fixed, the Pure Fix reviews well and is one of the best fixed gear bikes for a beginner. Find a colour / wheel combination that works for you and dive in. This review is specifically for the Big Shot Dakar, but it covers the brand’s entire line of fixies, since colours are designated by name. They come in a range of hues, so choose the name that best suits your style. With Big Shot, you get a lot of components for a reasonably low price tag. What you DON’T get is name brand anything, but that’s not the end of the world. They state that the frame is track inspired, but it’s really an all-around bicycle with a relatively comfortable geometry. It’s constructed using 4130 chromoly, which is a durable yet light alloy and a step above what you find on most budget-priced fixies. Equipment-wise, this is one of the better fixed gear bicycles for under 500 bucks. It comes with dual brakes, and the dual calipers stop really nicely. I love how tiny and ‘stealthy’ the brake levers look. Despite their small size, you still get an impressive amount of leverage. It also comes equipped with a flip-flop rear hub, so you can ride fixed or free, your choice. The whole line also happens to have one of my absolute favourite features: bullhorn bars. Bullhorns are comfortable, attractive and more versatile (in my opinion) than traditional drop bars. All Big Shot bikes are assembled and boxed in the USA, and their customer support is superb. All told, the Havana is one of my top fixed gear bicycle picks for $500 or below. If you’re hoping to find a truly affordable fixie bike, like less than $300 bucks, Critical Cycles has a good model called the Harper that might fit the bill. Costing just $199, these are about as affordable as you’ll find. These are urban-ready bicycles with good looks and excellent reviews. Are they feature packed? No. But they perform admirably, and that’s the most important thing. The whole frame is designed to give the rider an upright stance and good visibility for city riding. It’s not aggressive at all, very comfortable, laid back, and versatile. The steel construction of the frame itself is basic and machine-welded, but strong. Paint is decent for such a budget-friendly price tag. Wide, BMX-style bars offer control, and give the whole ride a ‘city’ look. I would’ve loved to see two sets of brakes on this bike, but it just comes with a rear. It’s a dual calliper Promax that does the job. The front fork is drilled to allow install of a second brake. The Protek crankset is basic (46t), but provides a good gearing for flats and mild hills. With a nearly unbeatable price tag and a dazzling array of colours, this capable little fixed gear bike is one of the best and cheapest options at just $200. I mentioned aesthetics before. 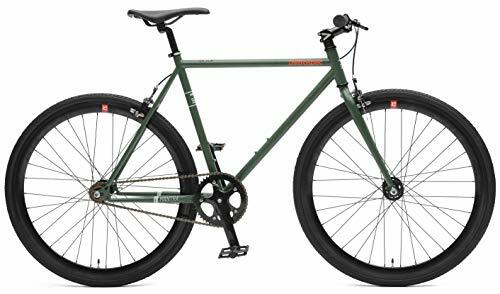 It’s important, and a brand that recognizes it better than most is State Bicycle Co., who have produced a shockingly beautiful line of fixed gear bicycles for a comparatively cheap price tag. Not only are these some of the best fixed gear bikes below the $500 price tag, they’re just stunning. I’ve chosen to highlight the Cardinal today, but their fixie line is essentially identical. With gorgeous paint and super deep V 43mm wheelset, you’ll definitely get some stares while riding this thing. Under that paint, the frame and fork are constructed using 4130 chromoly; that’s a high-end steel alloy, strong and vibration resistant. The crankset is forged aluminum (State brand) paired to a sealed bottom bracket. This particular model features bullhorn bars, but I believe you can also find the Cardinal with risers and drops, if you prefer. The wheelset has a flip-flop hub, with both a fixed and a freewheel cog installed. It does come with brakes (they just removed them for the photos), and you’ll have stopping power front and back with included Radius alloys. I love seeing the dual brakes. 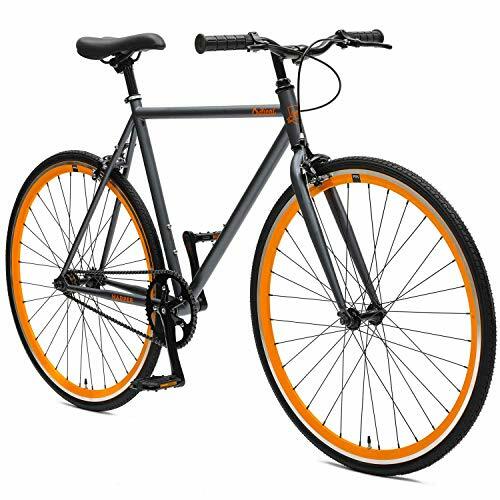 It’s a cool fixed gear bike with excellent reviews and a real following. Definitely recommended. Stopping power is often a problem on fixed gear bicycles, especially on single brake setups. BAMF has adroitly sidestepped this problem by adding more stopping power to that one brake! The Piledriver is a great looking fixed gear bike for around $500. It’s extremely well-built, ready to tear up the streets. The bike has a high tensile steel frame that’s actually quite light as steel goes. The frame geometry is built for urban adventure, and a city rider will simply love the quick way it handles. Riser bars with BMX style grips are ultra comfortable, with a nice wide grip. The wheels and tires are beefier than ‘track’ inspired fixies, perfect for navigating potholes and streetcar tracks. This bike is tough, and it can take a beating! The Bengal mechanical disc brake on the front is a good performer, especially in mud and rain. The Tektro lever gives you excellent leverage and stopping power, despite being a single brake setup. At 46mm, these deep V wheels are wider than most and strong. They come paired with 700cx 40 Kenda tires with rain tread. Flat, platform pedals, a Truvativ bottom bracket and a KMC chain round out this top-quality fixed gear bike. At just $500, it’s easily underpriced. The Bad: Among the priciest listed here. The fixed gear is a historic design, and many riders prefer a more classic and vintage style. Nashbar listened, and they’ve come up with their single speed cyclocross, a gorgeous, minimalist single speed bike. It’s perfect for city fun, bike polo or even SSCX racing, and it’s one of the best single speed / fixed gear bikes under $500 for that reason. The frame is stunning in a minimalist, vintage-inspired way. A slick paint job complements its classic lines. The sturdy steel frame makes a fantastic base for any customization you want to do. The visible components are all done in classic chrome / silver, and the resulting combination is simultaneously throwback and modern. The crankset, brakes, seat post and stem are all matched chrome and brushed silver. The wheels, unlike most of the reviews done so far, are not deep V. Nashbar instead opted for low profile alloy rims. They’re wider, and the tires have beefier tread. The rear is a Formula alloy hub, but there’s no fixed cog. It comes set up as a single speed with a 17T freewheel. At 17t / 46t, the gearing is really good for a high speed ride. Hills will require some stamina, but you’ll fly on the flats. The nameless bike comes equipped with classic drop handlebars wide enough to be used like straight bars in a pinch. Brake levers are hooked up to front and rear Tektro alloy brakes that stop nicely. For a vintage-inspired ride, the Nashbar Cyclocross is a good single-speed bike for well under $400. Based out of Los Angeles, Retrospec has dedicated their energy towards fixie culture. They make wheelsets, accessories, and (of course) bicycles. 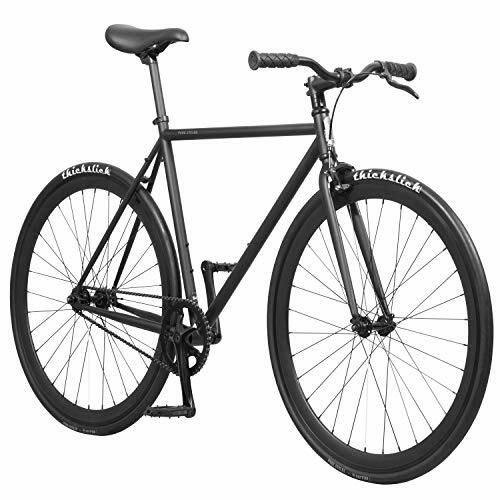 The Retrospec Mantra V2 is one of my favourite fixed gear bikes under the $500 mark. The frame is spartan and gorgeous. It’s made from high tensile steel and it’s durable and relatively lightweight. It’s a modern design with enough classic elements to appeal to just about everyone. One thing I like about Retrospec is the care with which they assemble their parts. The components fit together nicely, function well and last a long time. A good example is the sealed bottom bracket that they now incorporate on all fixies. The Mantra comes with a single front brake, a dual calliper Promax. I’d prefer to see two brakes, but it does the trick. The wheels are dual wall alloy with uber deep V rims. The rear is paired to a flip-flop hub with 16t freewheel and fixed cogs. Both wheels feature sealed cartridge bearings, another indicator of quality. They spin for a long time. Other things I like: the riser bars give a slightly BMX silhouette, and lots of control. The platform pedals are large enough to keep you planted. Available in a wide array of colours, the Mantra V2 is one of the best cheap fixed gear bicycles for under $300 no matter how or where you want to ride. Of all the fixed gear bikes I’ve reviewed here, this is the only sub-$200 offering. It’s rare that I’d recommend something that inexpensive, to be honest, but the Takara Sugiyama is a surprising bike in more than one way. First, the looks are atypical. It has an odd blend of colours and a very upright frame. The whole ensemble almost reminds me of a mountain bike. Secondly, it’s incredibly affordable. It’s almost impossible to find a good fixie bike for less than $200, but here we are. As you’d expect at this price point, the Sugiyama has a steel frame and fork. It’s durable and strong, though not the lightest. Unexpectedly, it comes with both a front and a rear brake. They’re basic, but they do the job when properly tuned (though admittedly it would be the first part I’d upgrade). The wheelset is alloy and the rear wheel comes with a flip-flop hub and both a fixed and free cog. The tires are wide at 700 x 32, making this a capable bike for city riding. I’d expect to change the tubes pretty soon after the purchase, they’re not very good quality. Most of the components are very basic, and you should be aware of that going in. The colour combination isn’t for everyone. The non-matching tires and the use of black, white and blue make this a very ‘loud’ bike, but it’s one of the best cheap fixed gear bicycles you’ll find for such a low price, and the customer reviews are very positive. Personally, I think it looks great! You’ll find a dizzying array of single speed bikes nowadays. They’re no longer a niche market and literally every major outfit I know of has jumped on board. Frankly, the bigger brands will charge a significant premium for basically the same materials and componentry. That’s not necessarily bad; they’ll come with robust warranties and standardized parts, so fit and finish will be premium. Where I find they fall short is in aesthetics and risk. The latter, in particular, is something they’re allergic to. It’s up to you whether that’s a tradeoff worth taking. Don’t make the mistake of opting for no name bikes. Honestly, would you buy a car from a dealership selling Toyondas? This is different from purchasing a tablet or something. A bike is a machine that can end your life. In my work as a bike mechanic, I have seen cheapo bicycles come in with the frames literally split in half. Imagine if that happened while you were flying down a hill. If you have any questions, feel free to post them below. Thanks for reading! Hi Will. 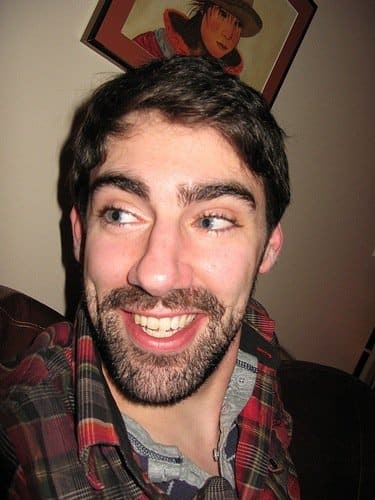 I am a high wheeler who is also a year round bike commuter in Maryland doing 10 mi round trip on a Trek Hybrid. I want to get a fixie that mimics the gearing of a 54″ high wheel so I can practice my cadence training but I need it to be a commuter bike with a bike rack for transporting personal and work gear. 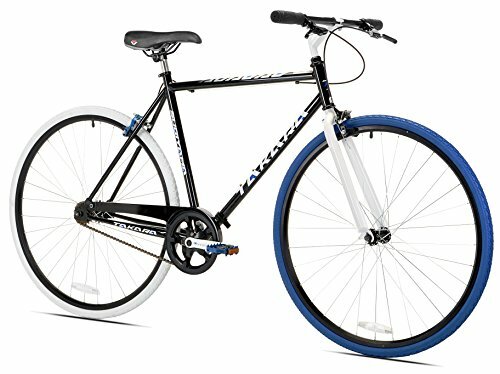 Can you recommend a fixie that is durable enough to be a good commuter bike and allows for a chainwheel/cog set that mimics 54″ high wheel gearing? Hi Shayne, you mean like a penny-farthing? I’m not certain, since those are direct drive it’s tricky to compare. But I imagine a standard ratio of around 46-16 would compare somewhat favourably. And cog and chainring are very easy to change if you find it too dissimilar. This site offers some interesting data on high wheelers to fixed gear ratios. As for which bike, I think the Nashbar Cyclocross would make a most excellent and durable commuter. Which of these would you say has the highest quality frame? No Mercier kill tt off of bikes direct? It’s well respected amongst the urban cycling community for using really high quality steel and a tight geometry. 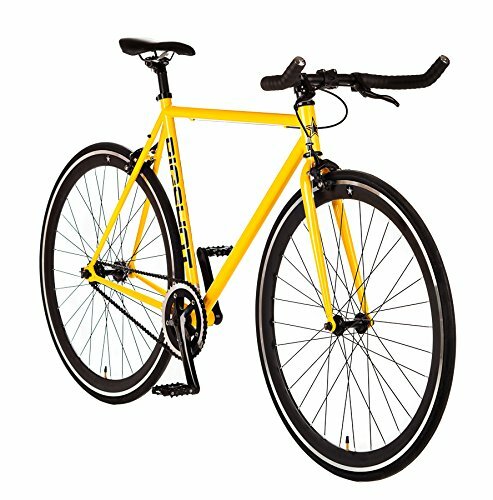 I was wondering your thoughts on LifestyleHQ single speed bikes. They seem a bit overpriced but I wanted to know if you were familiar with the quality, etc. Stuck between the Nashbar and the Pure. I will mostly be riding on paved roads and may go down some well packed dirt trails. I did just sell by 2015 Giant Defy 3. I liked the speed but didn’t feel overly comfortable on the smaller tires. Any recommendations? I LOVE my Pure Fix. It is very light, comfortable and fast. I will only ride it on paved trails, tires and wheels are super skinny. Just be aware that it only comes with a front brake. That has never been an issue for me, even on hills. People are always stopping me to look at it. Mine is a purple frame, with pink tires/white wheels and pink hand grips. Yes, very girly, but a beautiful bike. The SE Draft is also a solid contender at $250.00. Nice, solid and attractive bike. I just bought one for my niece, and she loves it. They make a range of urban bikes; all of them are nice for the price. Great article. Anyone new to a fixed gear should have a read of this first. Appreciate your time and detail, from a fixie fan. I really like your reviews! I have a $400 budget. I was thinking about the Retrospect Mantra. Would you recommend I go with that or would you recommend something else? Thank you for a very honest, clear and candid review I’d read 2 others since an trying to get me a affordable but good fixie and they weren’t as clear as yours. BTW would you have an opinion on the 700c Kent Thruster bike brand and the Hand built brand please?